Open oceans have lost 2% of their oxygen in the second half of the 20th century. Oxygen-minimum zones in the open oceans have expanded by the size of the European Union (4.5 million sqkm). New Delhi: Low oxygen zones, where marine life struggles to survive, are expanding in the Arabian Sea and Bay of Bengal, a new global study has found. Declining oxygen in seawaters is a worldwide phenomenon and has been driven in the past 50 years by human activities like polluting and warming of oceans. India’s coastal water and sea water in the Arabian Sea and Bay of Bengal have also been impacted. “Low oxygen areas, which are normally present throughout the N. Arabian Sea and Bay of Bengal, are expanding over the last half century. This can affect fisheries, livelihoods and the biogeochemical cycles of the oceans,” Lisa Levin, a co-author of the study that was published in the journal Science, said. The warming of oceans decreases the solubility of oxygen and increases stratification of the ocean column (a conceptual column from the surface to the bottom, used for study) preventing mixing of water, explained S W A Naqvi, a co-author of the paper and former director of the National Institute of Oceanography. 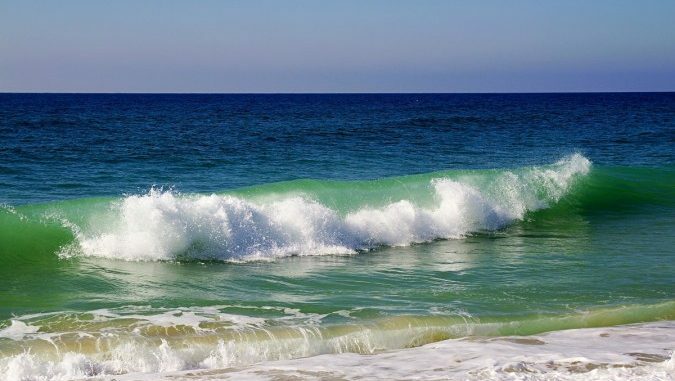 There are two kinds of low oxygen zones: the ones closer to the coast and directly affected by onshore activities are classified as coastal zones, and those indirectly impacted are called open ocean low-oxygen zones. Near the coast, hypoxic zones are closer to the water surface while in the open sea, these are found deeper in the ocean, and are naturally formed oxygen minimum zones. Both are expanding, according to research. Though natural factors have caused the formation of the hypoxic or low-oxygen zone in the Arabian Sea, human caused factors have aggravated it.